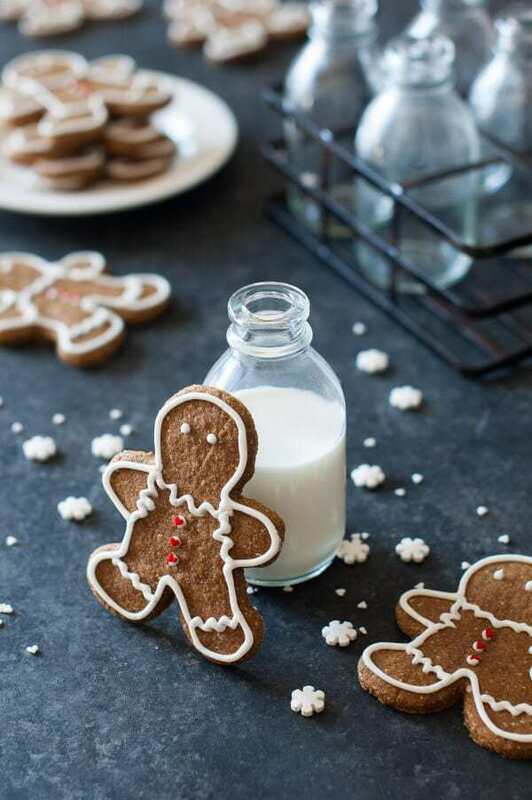 This is the best ever Paleo gingerbread cookies recipe. They are great to make for Christmas to hang on your tree or just eat. Eating a Paleo diet at Christmas time can be challenging. Everyone is eating a bunch of treats that you can’t eat and it not only makes you feel left out, but it also takes away a whole social part of your life. That’s why it’s so nice to have a few Christmas cookie recipes, like these Paleo gingerbread cookies up your sleeve! That way when there’s a party, I just always volunteer to bring some food and I make it so it’s something I can eat and pretty much always everyone else loves it and they could care less that it’s Paleo. Our family is like many in that we like to make Christmas cookies. My 11-year-old daughter, in particular, LOVES to bake. We were asked to contribute some cookies so we could go caroling with my parents and most of my brothers and sisters. We wanted to visit some of the elderly, lonely people in our neighborhood and eat the leftover cookies with hot chocolate after. That’s all fine and good unless you are on a restricted diet. My daughter wanted to make gingerbread cookies, but I said they had to be Paleo. 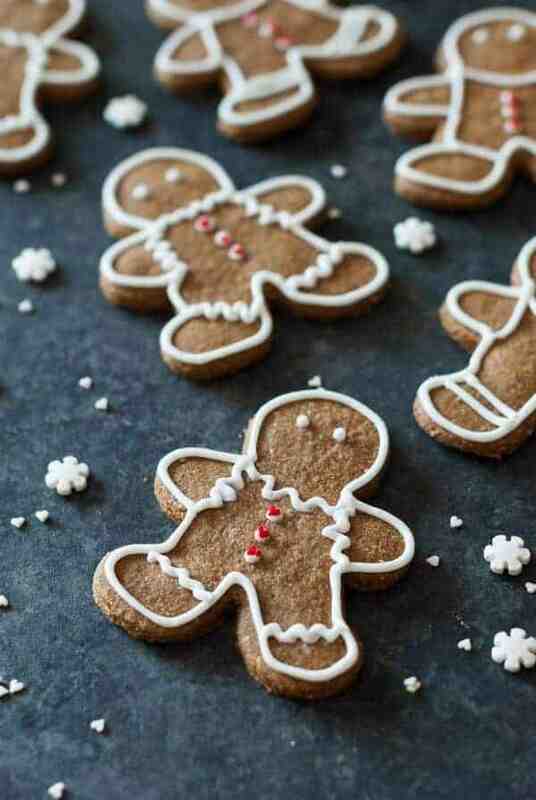 So I developed this Paleo gingerbread cookies recipe and I’m so happy with how it turned out. This dough holds its shape perfectly when baked…it doesn’t spread at all! I love how the almond flour gives it a nutty crunch and I love how there are relatively few ingredients. I was also surprised to learn that most people think that molasses is Paleo because it would be hard to duplicate that flavor. The real maple syrup gives it a similar flavor to brown sugar but is so much healthier for you than brown sugar. 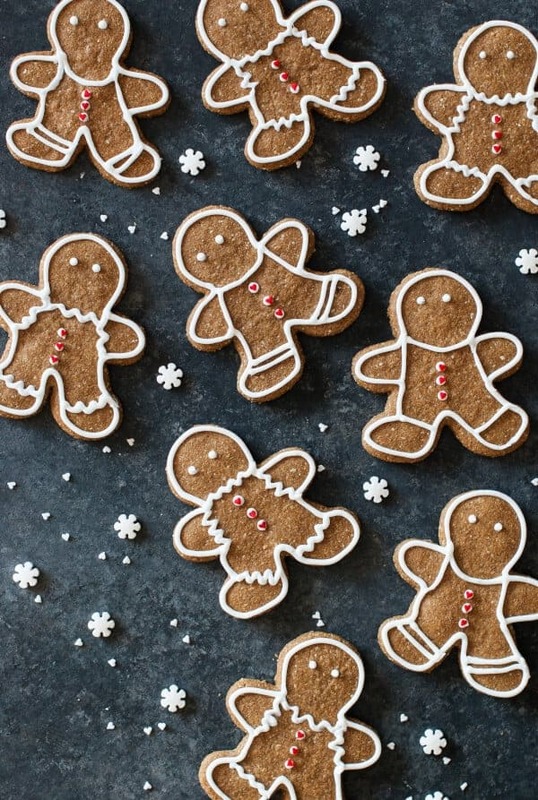 Please let me know if you enjoy these gluten-free and Paleo gingerbread cookies by commenting below. I would love to know how if you just make them for yourself or if you share them with others. If your mix is either really dry and won’t come together to a ball or if you like a softer cookie AND you don’t eat Vegan, try adding 1-2 egg yolks. I’m not much of a cookie baker and ginger was never an ingredient I liked. After making these cookies, I absolutely love everything about them!! My hubby says they’re better than a chef we know that makes dozens and dozens of these every Christmas. Going to make some this weekend for St. Patrick’s Day!! I’m so glad you like them. Are gingerbread cookies a common treat for St. Patrick’s Day or did you just think they sounded good? I don’t have molasses, what can I substitute it with??? I’m sorry but I’ve only ever used molasses in the recipe. It’s part of what gives it the gingerbread flavor. But I’m sure if you do a Google search you will get some ideas. . .
You could just use extra maple syrup – it won’t have the same rich flavour as gingerbread but it should still work. 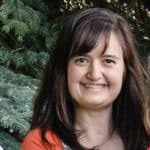 Hi Rebecca, What do you think about automatically adding a vegan egg, chia??? I want to make these but wanted your take before giving it a try. I personally don’t think it’s necessary, because they do come together, but they do tend to be a bit on the harder side, so if you like them a little softer or if they don’t come together for you, I think it’s a good option. Thank you. I’m always looking for vegan desserts. I’ll be making these minus the “egg”. Glad I could help. You totally don’t need the egg. The ingredients say Tapioca Flour, but the recipe says Tapioca Starch. Which is it? Or are they interchangeable? I’m used to using starch, and know that it’s important not to sub anything in gf recipes unless you really know what you’re doing, ha! Sorry about that. That can be confusing, but they are totally interchangeable and totally the same thing. I’m glad you liked them. There’s nothing like the smell of freshly baked gingerbread! I tried this but the dough didn’t “come together”…it was just a powder. I added a bit more oil, but didn’t help. 2 eggs (for my double batch) did the trick, though. Just in case it helps someone. I found the thicker cookies ended up moister. Nice recipe. Thanks! Wait, you need eggs? I didn’t see that in the receipe and mine is a powder now too ?. No, you aren’t supposed to use eggs, but that’s the solution she came up with. I can’t figure out why it works for some people and not others. I’m wondering if it has something to do with the brand of ingredients. Like, what brand of almond flour, tapioca flour, syrup and molasses are you using? Those the main things I can think of that would have moisture in them that would vary by brand. Maybe if we can figure out what doesn’t work, that will help narrow it down to what does work. I’m also going to try making them again in the next day or two and see if I can figure out what’s going on. There’s got to be a foolproof way to get these to work. . . I made these again a few days ago and they turned out just like the photo without modifying the recipe. I also updated the instructions a little to make it clearer on how to form the dough, cause it was confusing before. I hope it helps! Thank you! What icing recipe do you use? I feel so bad. I totally can’t remember. I experiment with so many different recipes and this recipe is from like three years ago. Why didn’t I write it down? This recipe looks familiar, so I think I at least tried it at one point – http://kelleyandcricket.com/chai-spiced-sugar-cookies-grain-free-gluten-free-paleo/ Sorry. Wish I was more helpful. can’t wait to try these 🙂 can you recommend a a clean icing recipe please? Does anyone have a paleo friendly recipe for the icing? Sorry about that. I replied to some others just now who asked the same question. I’m excited to finally find a good Paleo gingerbread cookie recipe. I’m going to make these for my grandkids for Christmas this year. Quick follow up question–I love that you have nutrition information, thank you! Is the nutrition information per cookie or for the whole batch? Thanks again! The nutrition information is about per cookie.